1. 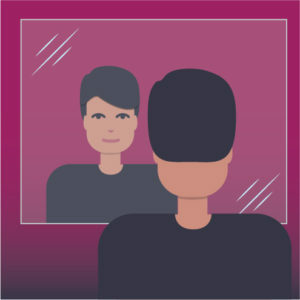 Use a mirror if you are measuring by yourself. 2. 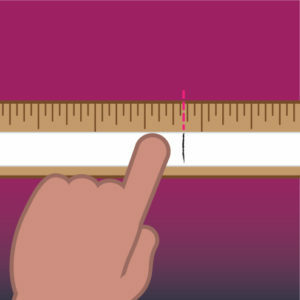 If you don’t have a cloth tape measure, take a long piece of string or strip of paper and hold it at the approximate height of a shirt collar. 3. 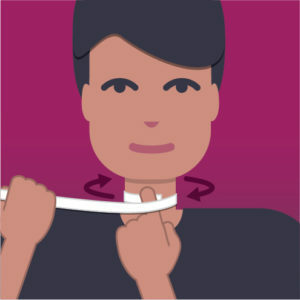 Wrap the cloth tape measure, long piece of string or strip of paper around your neck. 4. 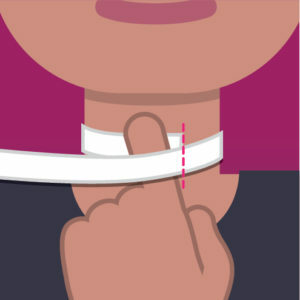 If using a cloth tape measure, note the place of overlap for your neck measurement. If not, mark on the string or strip of paper where the end meets. 5. If a string or strip of paper was used, lay the string or paper out over a yardstick to measure your neck circumference in inches.